Winter weather doesn’t exactly inspire thoughts of outdoor living, but it is a perfect time to get going on your plans for spring, summer and fall. It’s a good rule of thumb to get started early, so your project will be completed when you’re ready to get outside and enjoy it. Your HOA likely requires approval of your project before you proceed. 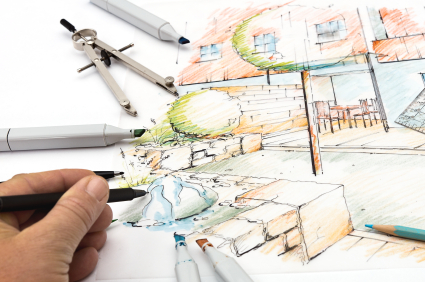 Architectural drawings may be necessary, adding more time before you can apply for a permit. Depending on the type and size of your project, a building permit may be required. If that is the case, a permit can take from three weeks to three months to be issued. In the Seattle area, summer and fall seasons are prime time for installation. A qualified and reputable contractor can be booked out several months. The cost of quality materials continues to rise steadily. Getting an early start on the season will help keep the budget lean. Whether you require a complete overhaul with major renovations, or a subtle change to revive your space, our specialty is helping you to create a fresh stimulating outdoor atmosphere for your enjoyment. Take a look at our online photo gallery to review some of our custom designs and quality of work. Please let us know if we can help answer any questions you may have. You can reach us by email or by calling 425-868-4114.